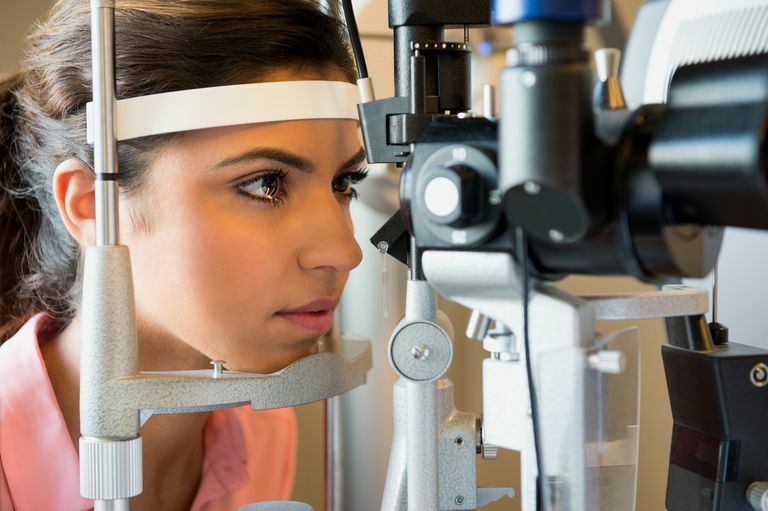 Although a link was always considered a possibility, doctors felt that having high blood pressure did not always mean that high eye pressure and glaucoma would eventually develop. Even though the word “pressure” is involved in both conditions, the development of high blood pressure is completely different from developing high eye pressure. However, new research is shedding light on how having high blood pressure may possibly increase your risk for developing glaucoma. Glaucoma refers to a group of diseases that causes damage to the optic nerve. Containing more than a million nerve fibers, the optic nerve connects the eye to the brain. This important nerve is responsible for carrying images to the brain. The optic nerve fibers make up a part of the retina that provides sight. This nerve fiber layer can be damaged if pressure in the eye (intraocular pressure) becomes too high. Over time, high pressure causes the nerve fibers to die, resulting in decreased vision. Vision loss and blindness will likely result if glaucoma is left untreated. Researchers feel that some types of glaucoma may be the result of not having good blood flow to the optic nerve. High blood pressure, also called hypertension, can cause our normally elastic blood vessels to become firm. When blood vessels harden, they cause blood pressure to increase, which tends to accelerate atherosclerosis (plaque formation in the walls of the arteries). Atherosclerosis often leads to blood vessel obstruction and can produce heart attacks, strokes, and other serious problems. Furthermore, blood vessels may become weak over time from high blood pressure, and weak areas can develop. These weak areas in the blood vessels collect blood and become out-pouchings called aneurysms. Aneurysms can burst and leak blood, causing damage to organs. It was once thought that a little high blood pressure could be good for glaucoma. Having high blood pressure ensures that there is good blood flow to the nerve tissues of the eye. However, according to new studies, long-term high blood pressure increases one’s risk for developing glaucoma. Other studies have shown that having high blood pressure may be a risk factor for glaucoma. However, we do not really understand why. Researchers have determined that young people with mildly elevated blood pressure may be protected against glaucoma but high blood pressure in older people is a significant risk factor. Researchers feel that any benefit of having high blood pressure is counteracted because having high blood pressure causes damage to blood vessels over time. Studies have been conducted in animals showing that elevated blood pressure for a longer period of time, such as four weeks, does not offer the same protection against eye pressure increases as an increase of only one hour. This means that having high blood pressure for a long period of time will affect the eye’s ability to deal or cope with high eye pressure. This understanding will help doctors identify people more at risk of developing glaucoma. It also sheds a light on potential studies that could be conducted that may assist doctors in treating patients that have both glaucoma and hypertension. He Z, Vingrys AJ, Armitage JA, et al. Chronic Hypertension Increases Susceptibility to Acute IOP Challenge in Rats. Invest Ophthalmol Vis Science, 2014.